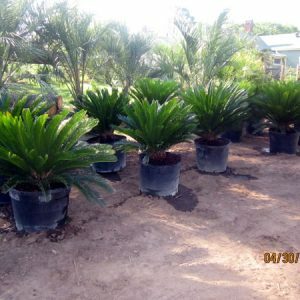 The Palmetto Palm tree is the dwarf version of the Cabbage (Sabal) palm. It may slowly reach a mature height of 8-12 feet, with an equal spread. The Palmetto has a rich green or bluish-green leaf, and grows as a shrub palm for most landscape settings. 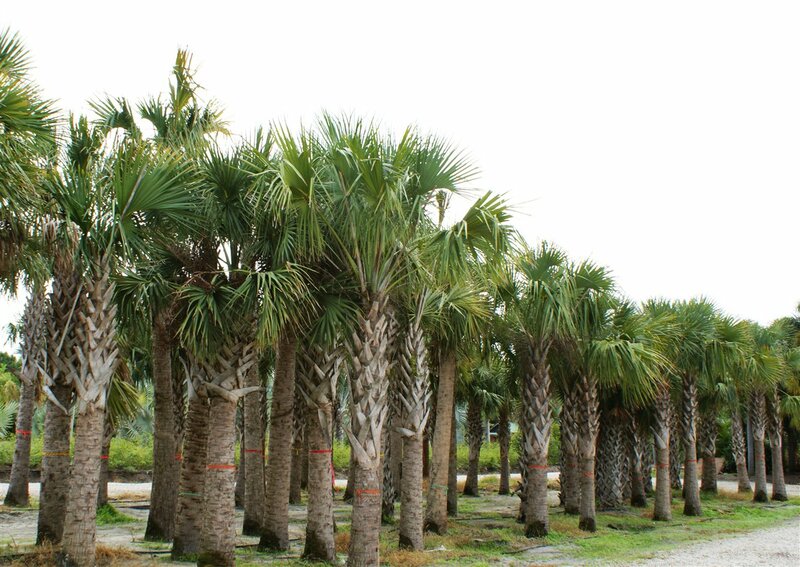 Sabal palmetto grows up to 65 ft in height, with a trunk up to 2 ft diameter. It is a distinct fan palm.? The flowers are yellowish-white. It is extremely salt-tolerant and is often seen growing near the Atlantic Ocean coast. Sabal palmetto is very cold-hardy–it is commonly accepted that Sabal palmetto is able to survive relatively short periods of temperatures as low as 7 F (-14 C). However, it has also been reported to survive temperatures much lower. Maintenance of the Cabbage Palm tree is very easy and very adaptable. 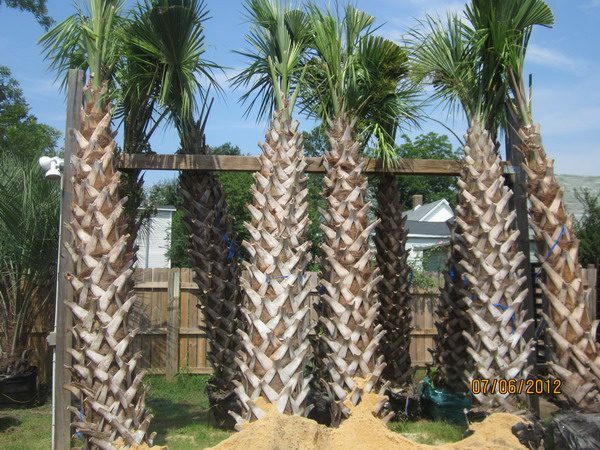 The Cabbage Palm is known to tolerate drought, standing water and brackish water. 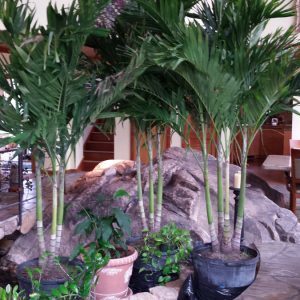 Even though this palm is drought-tolerant, it thrives on regular light watering and regular feeding. It is highly tolerant of salt winds, but not saltwater flooding.